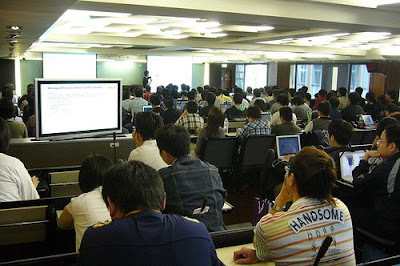 12th April, I gave a new talk titled "DOM manipulation by Wiimote/Gainer over HTTP" for the OSDC.TW 2008 at Taipei. The same titled talk will be soon made again in both of the YAPC::Asia 2008 Tokyo and the YAPC::NA 2008 at Chicago. Anyway, this was my first time to get to Taiwan. I must say that the Formosa was the great island of good foods and kind full people. 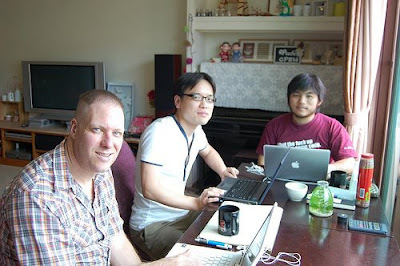 After the conference, I moved to gugod's office in the Jhubei City which is next to Hsinchu. 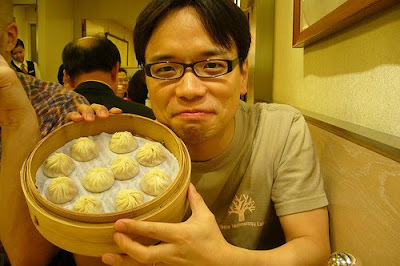 I love 小籠包 (Xiaolongbao) above, however, 潤餅 (Taiwanese crepe) at a street stand was really tasty.